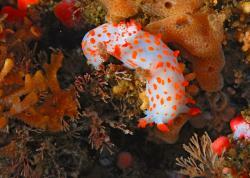 There is no getting around it; underwater photography can be an equipment intensive hobby. However, it's possible to get started for only a couple hundred dollars. Whether you are buying your first compact, or thinking about getting a dSLR, there is information about underwater photography equipment to help you in this section. A note on prices - I try to give information on prices wherever possible. Since I am in the United States, prices are from that country as of early 2009. Keep in mind some of this gear may cost more in your home country. This chapter covers compact & dSLR cameras, underwater housings, lenses, strobes, arms, ports, TTL converters, sync & fiber optic cords, focus lights, and equipment costs. Before we dive into a discussion about the equipment, lets assume you are ready to spend more than $200 on your setup. Where should you spend your money? 1) Decide whether you are getting a compact camera or a dSLR. See my section on deciding between a compact vs dSLR. If you are unsure, go the dSLR route. If it's stretching your budget, get the least expensive used housing & body you can find, any strobe, and 1 good lens (see #2, #3, and #4 below). Use several credit cards if needed. If you have enough money to go the dSLR route your next decision is whether to go to a full frame sensor or one with a cropped sensor. See the dslr Camera chart for help in choosing what type of dSLR to investigate. If you decide on a dSLR housing, start with viewing the dSLR underwater housing buyers guide, which discusses how to get a strobe, ports, and other info too. 2) Lenses are the key to making good photographs and are often the most important choice you can make in underwater photography. 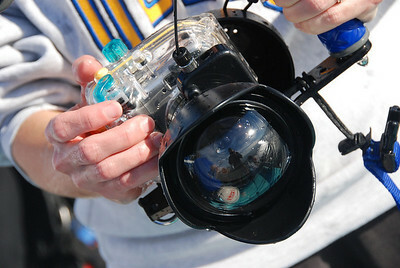 Click here for the best lenses for underwater. A good collection of lenses is not a trivial investment however lenses are often useful for many years and many upgrades to your camera system. Make sure you get good glass. Glass is another term for a lens. Get yourself a good macro lens and/or a good WA lens, depending on where your interest lies. Suggestions: Most camera manufacturers make excellent macro and wide angle lenses. In terms of macro lenses, a 60 mm focal length is probably best for beginners, while a 100 or 105 mm lens is for more advanced photographers. Many third party manufacturers make excellent lenses such as the Tokina 10-17mm or 11-16mm. These lenses should last you forever, and will not lose their value. For compact users, try a INON fisheye or WA lens, and stacked INON UCL-165 macro lenses. Lenses generally hold their value very well, and in some cases have increased in value! 3) Get 1 or 2 good strobes, preferable 2, the best you can afford. If you are only shooting macro, you can get away with one. Strobes will also last you a long time. 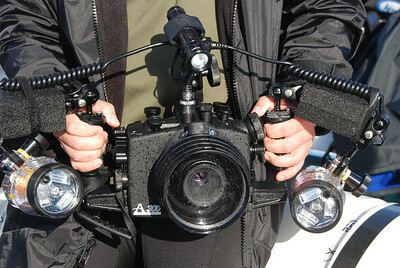 4) Make sure you have enough of money left over for a underwater housing, camera body, and ports. Keep in mind that camera bodies and housings can depreciate fairly quickly. Ideally, you will also choose a top-notch housing, camera body, and port, within your budgetary restrictions. If you are a compact user, I suggest you get one of the cameras in the recommended underwater camera section, or a similar camera. You can get a good compact camera for $99. If you ever think you will want to shoot ultra-wide angle, or super macro, make sure your camera & housing combination supports the add-on lens you think you will need. 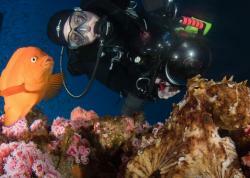 5) Don't forget to protect and maintain your underwater equipment. There's some suggestion for additional items needed for protection and maintenance on that page. From my latest experience (with a compact P&S), I followed the priority order in this guide (glass first) with my latest setup. 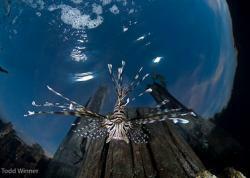 I knew I wanted to do wide angle, so I looked at the Inon fisheye lens: what will work best with it for reasonable $$. It turned out to be a camera body (canon a570is) that I probably wouldn’t have considered had I started the process first with the camera body (maybe I would have bought the G9 or something like that). Previously, I had bought the Canon S80 thinking it’s a great camera, but back then didn’t know better to look for glass that would go with it. Thanks for your advice Scott!